My parents took me to the 1956 roadshow engagement of AROUND THE WORLD IN 80 DAYS at San Francisco’s Coronet Theater. This eight-year-old kid was introduced to the wonders of George Méliès’ A TRIP TO THE MOON (1902) during the prelude introduced by trusted TV newsman Edward R. Murrow talking about Jules Verne in the movies. It was the same year they Irving and Irma Levin (owners of the Coronet and other local cinemas) staged the Italian Film Week that would become the first film festival in the Americas in 1957, The San Francisco International Film Festival. Growing up in the late 1950s and early 60s I wanted to be an astronaut like so many other kids. I built spaceships instead of model cars, read every science fiction book I could convince the library to buy that didn’t arrive each month as part of my Science Fiction Book Club membership, and devoured Famous Monsters of Filmland and its spinoff Spaceman. The astronomy and space travel pages of the encyclopedia, especially the annual yearbooks, were studied many times and I would bring home stacks of non-fiction books from the library about outer space. Saturday morning TV showed the original FLASH GORDON serials, TOM CORBETT SPACE PATROL, JOHNNY JUPITER and I still can’t see DUCK DODGERS IN THE 24 ½ CENTURY too many times. THE DAY THE EARTH STOOD STILL, WAR OF THE WORLDS, IT CAME FROM OUTER SPACE, INVADERS FROM MARS, THIS ISLAND EARTH, EARTH VERSUS THE FLYING SAUCERS, FORBIDDEN PLANET, THE THING FROM ANOTHER WORLD, INVASION OF THE BODY SNATCHERS, 20 MILLION MILES TO EARTH, THE MYSTERIANS, FIRST MEN IN THE MOON the Quatermass trilogy, I MARRIED A MONSTER FROM OUTER SPACE, and the inevitable SPACE CHILDREN. TEENAGERS FROM SPACE was a guilty pleasure and if the cycle was completed with a FAMILY FEUD or DIVORCE COURT IN OUTER SPACE I missed them. I didn’t become an astronaut. My love of the movies took over and I pursued a short career making movies and most of my life showing them. What does it have to do with the San Francisco International Film Festival (April 4-17) ? In SALYUT-7 the tables are turned on Alfonso Cuarón’s GRAVITY as we follow two unlikely Russian astronauts trapped in outer space trying to rescue a space station before the Americans get to it. Set in 1985 the international politics at play make a fascinating background for the incredible suspense created with the uncertainty of their ability to beat the odds. Will they succeed? Though this is based on a true incident, do not read anything more about it so you will be experience the series of surprises I did. The outer space scenes that take up most of the movie are stunning and you will be on the edge-of-your-seat but gravity and excitement will keep you there. MERCURY 13 is a documentary certain to surprise and inspire as it explores the virtually unknown story of the women, long before Sally Ride went into space on the Challenger, who trained and passed tough scientific and physical testing to qualify to become American astronauts but there was a Catch 22 that left them on the ground. ★(STAR) is an experimental feature using clips from the history of cinema to explore the outer galaxies as filmmakers have imagined them. Possibly inspired by Christian Marclay’s THE CLOCK, filmmaker Johann Lurf plans to continue adding intergalactic images as new movies are released. For now you will journey from Méliès’ early special effects to today’s sophisticated CGI special effects. It will be as if you spread out a blanket on a hillside and gazed up into infinite space for 99 minutes. No plot to confuse you. Just watch for the shooting stars over to your left. And another on the right. There is science in cooking but the Festival’s two food documentaries are mostly about the passion for creating delicious meals and both will leave you inspired and hungry. ULAM: MAIN DISH visits Filipino food experts who are trying to get respect for their cuisine,long little known outside their own communities. But in New York and Los Angeles things are changing as eaters are discovering an astonishing range of preparations beyond lumpia and adobo chicken. Meet the chefs and owners, learn about their struggles to succeed, their innovations and watch them prepare food you will want to taste. Plan to visit Daly City, Oakland or Vallejo soon after the movie to satisfy your appetite. Equally passionate is teenager Flynn McGarry who has been developing his culinary skills since he was twelve, creating pop-up diners and working with top chefs. In CHEF FLYNN you will not only join him on this journey but have mixed emotions about his mother’s desire for Flynn to be a success, even when her son needs his independence. Young people are at the center of many of the dramatic and documentary stories being told at the Festival. TRE MAISON DASAN are three boys who are growing up with a parent in prison. Their stories are woven together with powerful insight about how they see themselves and are seen by society. We come to understand why they feel held back and what it takes to live with the uncertainty of when and if they will ever live with that parent and their influence might be on the child’s future. We care about these young people and I hope there is a follow-up to learn what happens to them. Those boys could easily become school dropouts as are the teens in THE PUSHOUTS. An Oakland gang member took a chance by breaking out of that life style and the certain incarceration he faced if he had not taken that direction. With the help of a Berkeley High teacher who believed in his students’ potential, the young man worked hard to get into college and now Dr. Victor Rios teaches at UC Santa Barbara, has written five books and was convinced by that original mentor to join him in a innovative program to motivate Mexican and African-American teens. The first half of the film feels a bit unfocused though footage of the young Rios from the 1994 Frontline special SCHOOL COLORS offers a strong understanding of who he was. Once we enter the new classroom and observe creative teaching techniques we see the light go on as his students suddenly understand concepts that made no sense before. Halfway around the globe in Ghana there is one of the worst cases of forced child labor on the largest man-made lake in the world, Lake Volta. Children are trafficked from their villages as young as three years old to be enslaved to the fishing industry. The work is hard and long. These young people witness their co-workers disappear under water while attempting a dangerous task. They have no contact with their families and education does not exist despite what the bosses tell outsiders. THE RESCUE LIST takes us into the world of a safe house where its leader, Kwane, is dedicated to rescuing the children. He had once been in the same situation and understands the delicacy of bringing these kids to safety, offering education and therapy. In a surprising twist children are asked for names and locations where others might also be liberated. It always amazes me when filmmakers, in this case the Bay Area’s Alyssa Fedele and Zachary Fink, can capture intimate and potentially dangerous moments as were observe during challenging and careful negotiations with fisherman to free the boys. Equally emotional are meetings with the parents who had a variety of reasons for letting their offspring go, expecting to never see them again. The rehabilitation center prepares the youngsters for going home but only if they believe it will be safe and that a good education will part of the child’s life. They may not be allowed to live with their family but possibly a village chief. It is not easy as we see a boy going back to what he feels might be an uncertain destiny, leaving his good friends at the center behind. But Kwane and his team will be watching and prepared to once again rescue if necessary. The directors explain, “Our intention is to tell a moving story of friendship, courage, and survival through a character-driven approach and an intimate observational style. There are currently 45.8 million people enslaved worldwide, and over 20,000 children enslaved on Lake Volta alone. Yet many people are unaware of the prevalence of human trafficking and modern-day slavery around the world. If they are conscious of it, they tend to think of slavery as an “issue” rather than understanding the complex lives and stories of the people enslaved. Our approach is to viscerally portray the under-represented personal experience of slavery through our protagonists’ lived day-to-day, rather than through the too-often reductive lens of an issue-based advocacy film, which tend to focus solely on victimhood. As such, THE RESCUE LIST intimately follows Kwame, Peter, and Edem as they work to recover from their trauma. By observing them, the film provides them with a forum tell their own stories through their words and actions. We believe that character-driven stories like these have the ability to humanize issues of global importance, moving audiences through the power of our protagonists’ resilience as well as through the artful craft of nonfiction storytelling. By personalizing child slavery, we hope to elicit an empathic response which will motivate viewers to action. Our observational approach is guided by our backgrounds in anthropology and commitment to collaboration with our subjects: reciprocity, cross-cultural understanding, and trust lay at the heart of our process. This not only allows us to build strong relationships, and thus be granted access to the subject matter, but further enables us to create a film grounded in respect. As such, we spent several months in the field in Ghana, embedded in the shelter and with the rescue team, creating meaningful ties in the community.” (for more about the filmmaking read the press kit . In a Festival filled with powerful works THE RESCUE LIST is certain to be one of the most powerful experiences you have this week. The creative teams behind and in front of the camera will attend many of the screenings. The list of guests is impressive and I salute those who arranged and will manage everything to bring audiences insight into the movies. San Franciscans tend to ask respectful and interesting questions. The Festival Directors and Programmers do a superb job of moderating Q&A sessions and conversations. And about those people…. Executive Director Noah Cowan has expanded the Festival’s initiatives in bold and exciting ways continuing the directions set by his predecessors Graham Liggett, Bingham Ray and Ted Hope. Noah has many years of experience in programming at the Toronto Film Festival and heading the development of its cinema complex, The Lighthouse. While he screens and enthusiastically supports the SFILM selections, it is the programming team who discover and advocate for the incredible range of movies being showcased during the Festival and throughout the year. Under the caring guidance of long-time Director of Programming Rachel Rosen, Rod Armstrong, Amanda Salazar, Audrey Chang, Des Buford and Joseph Flores collaborate to bring discoveries to Bay Area audiences. This year there will be 186 movies screened made by and telling stories of diverse peoples. They are around the showings and enjoy meeting the audiences so do say hello and let them know what you have liked. The Festival flows smoothly because of hundreds of dedicated staff and volunteers, largely working behind the scenes. If you meet any of them a word of appreciation is rarely heard. And Thank those volunteers working at the theaters. You will both feel good. In addition to the many features there are several excellent programs of short films. The annual “State of Cinema” is always a provocative presentation on where the art is and will possibly be going. 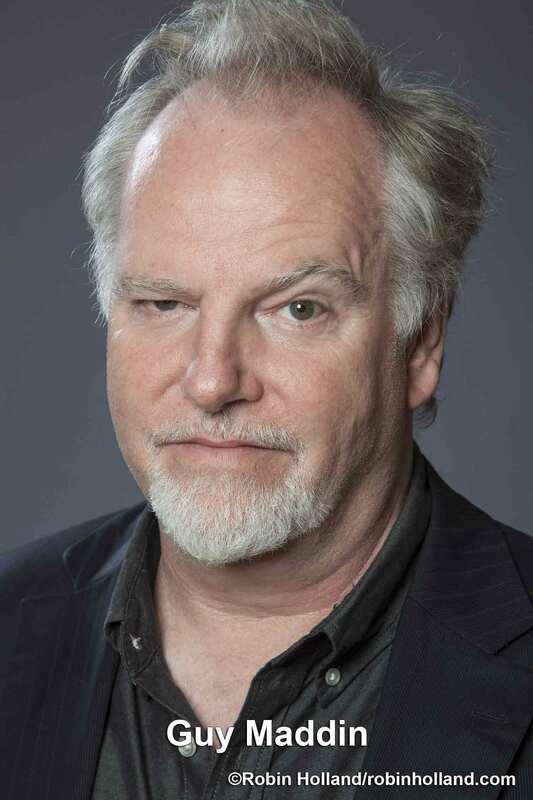 There could be no better presenter than visionary Canadian filmmaker Guy Maddin on Sunday, April 8. The alt-rock Blonde Redhead accompanying Yasujiro Ozu’s silent masterpiece, I WAS BORN, BUT…(1932) with a specially commissioned new score. Oakland’s Boots Reilly presenting his Sundance breakout hit SORRY TO BOTHER YOU on Wednesday at both the Castro in SF and the Grand Lake Theater in Oakland. The Creativity Summit on Saturday, April 7 features a conversation with director Alex Garland (EX MACHINA, ANNIHILATION) and Virtual Reality pioneer and visionary Jaron Lanier. Admission is free but advance tickets are suggested. Animation Workshops for kids with Pixar and Dreamworks masters are offered each weekend. Experimental films are the focus of the Vanguard section with the program of shorts curated by Kathy Geritz (BAM/PFA) and Vanessa O’Neill, with Metha Rais-Nordentoft, THE SHAPE OF A SURFACE certain to be a highlight on this program playing Sunday, April 8 and Wednesday, April 11. Want to go into dark places? The Dark Wave section is for you. These are scary and/or violent works sure to disturb and haunt your deepest sleep each night. These four films push boundaries while superbly telling their stories and have all received raves at other major festivals. Be prepared. All the information you could want and how to purchase tickets is found at SFIFF. You can search by country of origin, subject matter, special sections or film title. The festival plays at several theaters in the Mission District, venues around Yerba Buena Center, The Castro and nightly at the Berkeley Art Museum/Pacific Film Archive. Their “How To” page will help you navigate more effectively and answer many questions. See you at the movies. Gary Meyer started his first theater in the family barn when he was twelve-years-old. He directed a monster movie there and wanted to show it on the set. It became The Above-the-Ground Theatre where over 250 films were screened along with live productions, workshops and the publication of a literary/arts/satire zine, “Nort!” and a film newsletter, “Ciné.” He first attended the San Francisco International Film Festival in 1964, cutting afternoon classes to see the Filmmaker Tributes created by Festival Director Albert Johnson. After film school at SFSU he calls his first job as a booker for United Artists Theatres “grad school”— it was prep to co-founding Landmark Theatres in 1975. With partners Steve Gilula, Paul Richardson and Bert Manzari they grew to a national art house chain focused on creative marketing strategies to build loyal audiences for non-Hollywood fare. Meyer led his team to create a variety of film festivals and special events to counter-program the increasing competition from home video and cable. After the partners sold Landmark, Gary consulted on many projects including developing concepts for Sundance Cinemas and the Business/Programming/Marketing Plan for Brooklyn Academy of Music’s Rose Cinemas, created the Dockers Classically Independent Film Festival, the no-budget Solstice Fest and Tube Film Festival for the X Games. He resurrected the 1926 Balboa Theatre in San Francisco and joined the Telluride Film Festival in 1998, becoming a Festival Co-Director in 2007-2014. Meyer founded the online magazine, EatDrinkFilms.com in April 2014, and EatDrinkFilms presenting food and beverage related films with tastings. Meyer also consults with Cinetopia in Ann Arbor/Detroit, Devour! in Nova Scotia, the Art House Convergence, Festivals Forum and does specialized programming for food, music and film festivals. This entry was posted in Films, Films: Festivals, Films: Reviews. Bookmark the permalink.